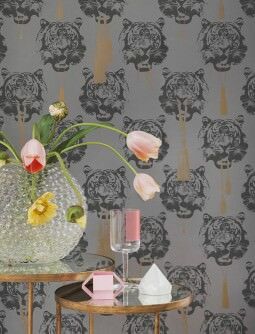 The wallpapers of Swedish Designer Lisa Bengtsson tell stories of life and of people, their little foibles and secrets. Her designs are vivid, light, romantic, idiosyncratic, playful and whimsical. They aim to communicate with the beholder. 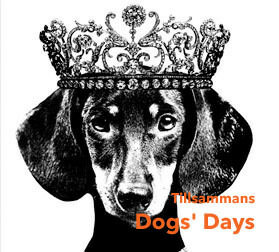 If you’ve ever felt the burning desire to adorn your walls with a picture of a zebra in high heels or a dachshund sporting a tiara, you have found just the place! If bouquets of roses and fruit or beautiful ballerinas dancing along the wall are your thing, Lisa Bengtsson can fulfil your every need! She plays with figures and forms, history and the present, creating fascinating narratives. What would life be without memories, personal histories or passions? Lisa Bengtsson, born and raised in Småland, began her career as a graphic designer. She loves illustration and pattern design and is constantly inspired by people and their stories whilst integrating her own values and emotions into her stunning work. She provides room for people’s imagination – one of her designs consists of countless frames in which to fit your own pictures, vignettes of your life, elevating the room to an art gallery. 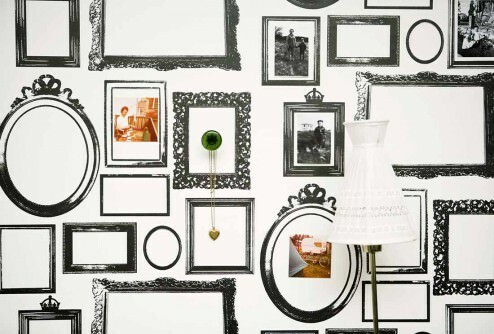 Her black-and-white shoe wallpaper Svärmor is homage to women’s footwear across the ages. These luxury romantic wall decorations featuring an explosion of fruit and flowers, reminiscent of collages made of old post cards, create a three-dimensional effect. 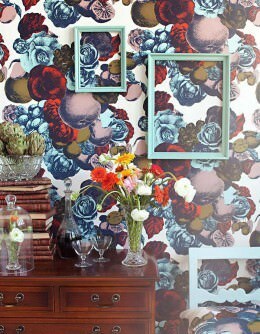 Patterned wallpapers by Lisa Bengtsson provoke emotions and send messages. The aim of the extremely talented Swedish artist is to communicate through pictures, colours, patterns, forms and typography, and she lives up to it with her truly unusual wall décor. Graphic communication along with a passion for interior design has always been her chosen career path, and her work is testament to her continuously increasing success.